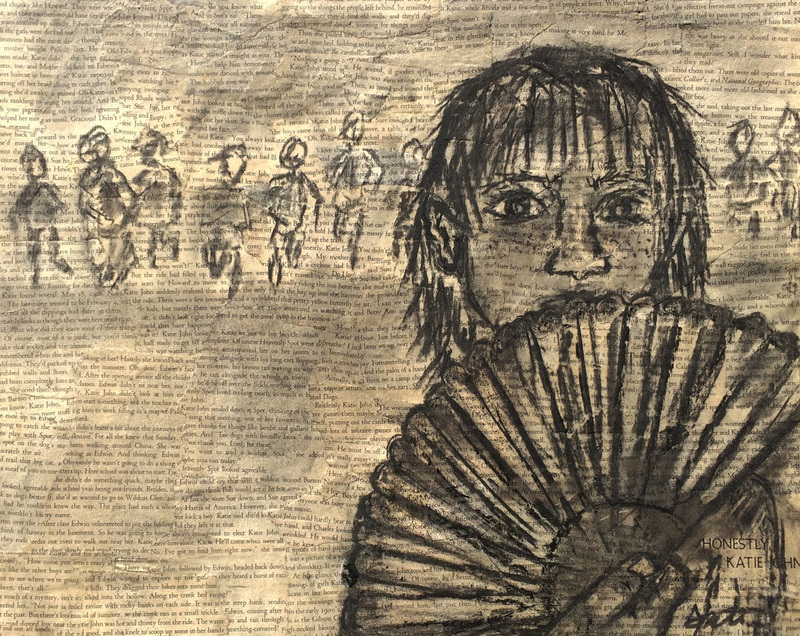 These charcoal drawings are drawn on collaged book pages. 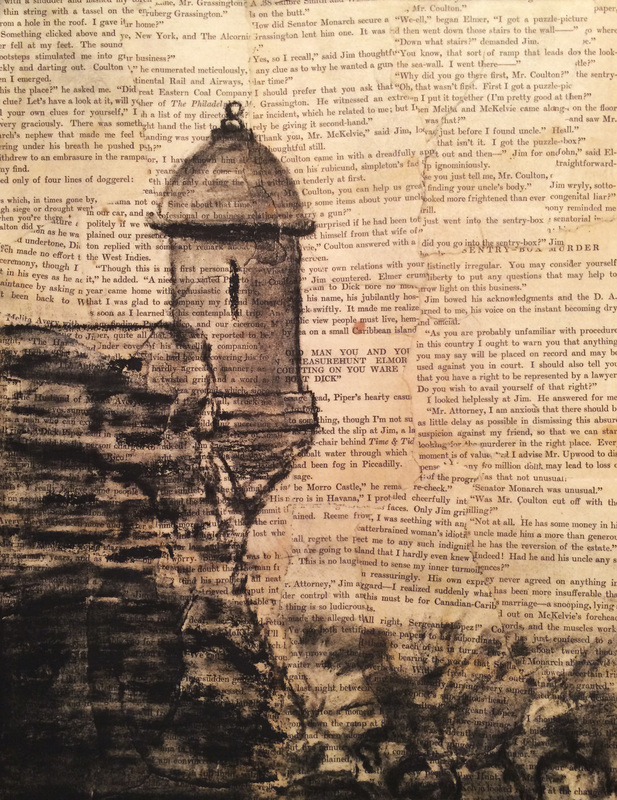 I am taking old discarded novels found in “Free Bins” at libraries and giving the books a new life in the shape of visual art. A novel, just like a work of art, is considered “timeless” by the author. Unfortunately, as time moves forward, language, subject and styles of writing change, leaving outdated novels in the dust. The books I used for this series may have been interesting and popular once, but today they remain unread and lost. 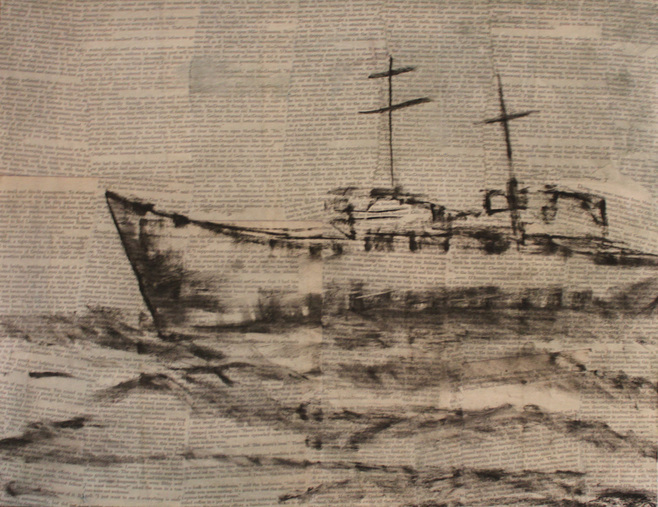 Instead of being tossed into the trash, they are being reborn into art. 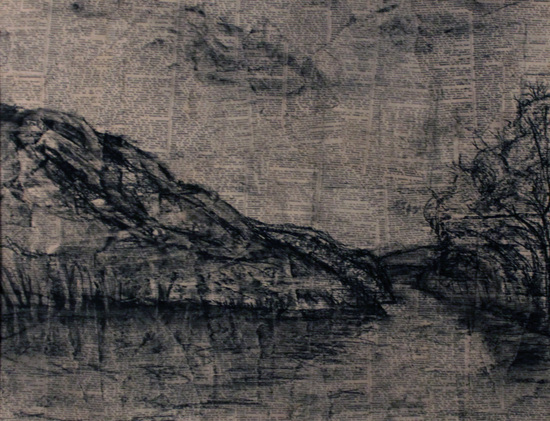 Each charcoal drawing represents the book’s subject or content it’s drawn on. 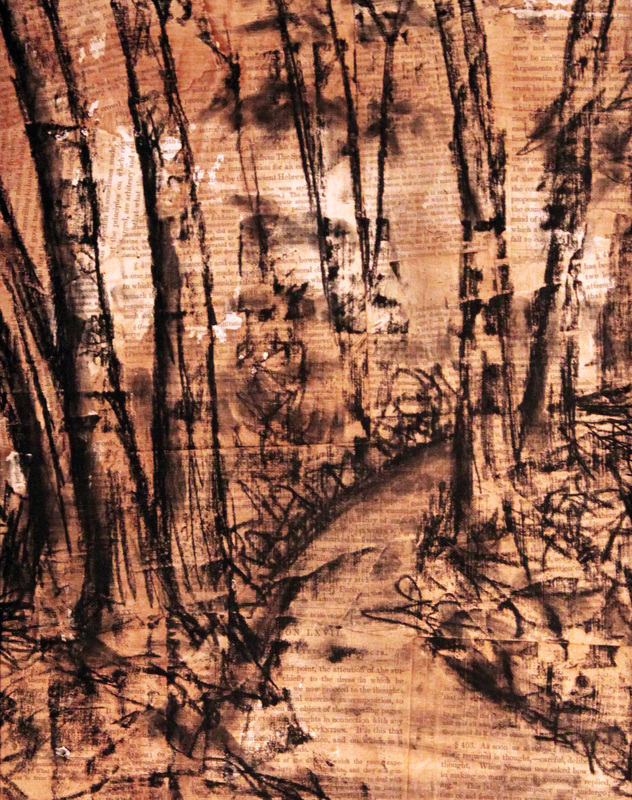 The drawings are deliberately created using charcoal to enhance the ephemeral feel of art, however all the drawings are sealed and archival. Verde River. 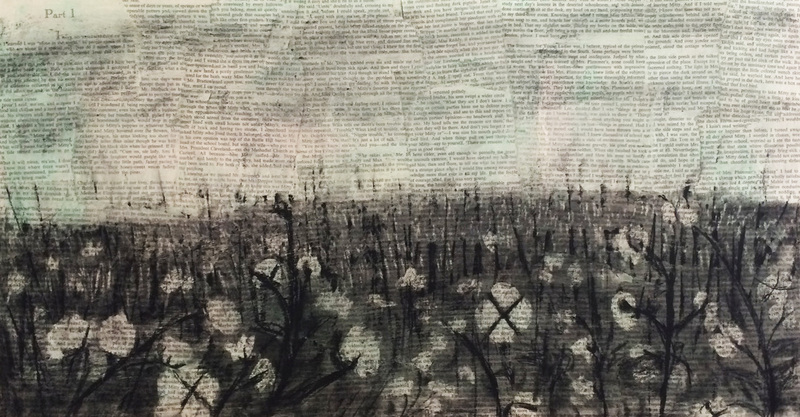 charcoal on pages from a dictionary on Ampersand board. 16x20"
Cherry Hill. Charcoal on book pages from Course of Composition and Rhetoric by Quackenbox, 1877 on board. 14x11"
A Maid of a Million Men. 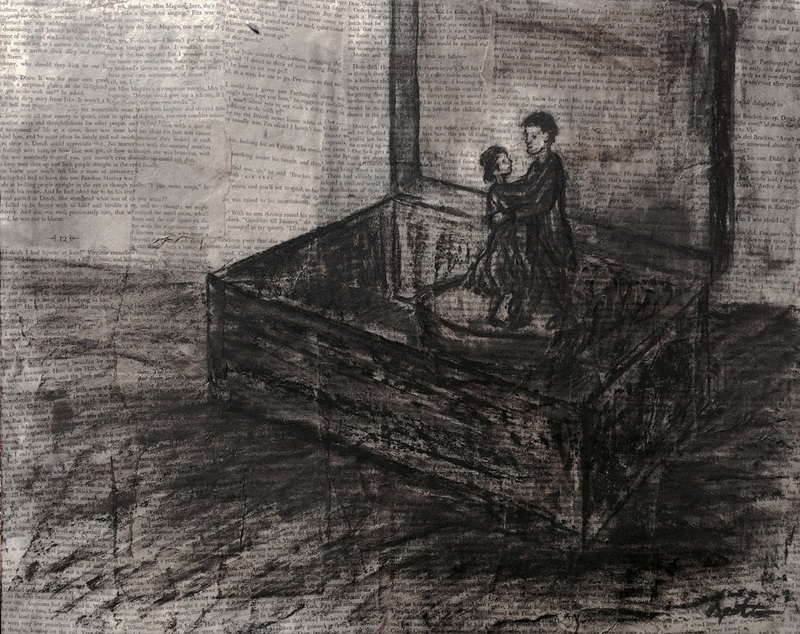 Charcoal on pages from the novel, "A Maid of a Million Men" by James Dunton, 1928. 16x12"
Crown Fire. 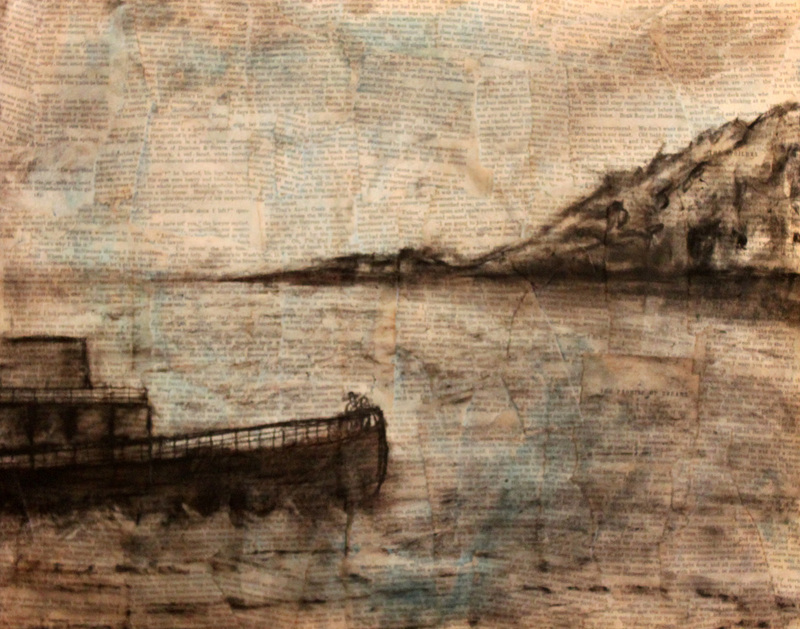 Charcoal on pages from "Crown Fire" 14x11"
Away by Boat. Charcoal on book pages from "Away all boats" by Kenneth Dodson, 1954. 16x20"
The Spoilers. 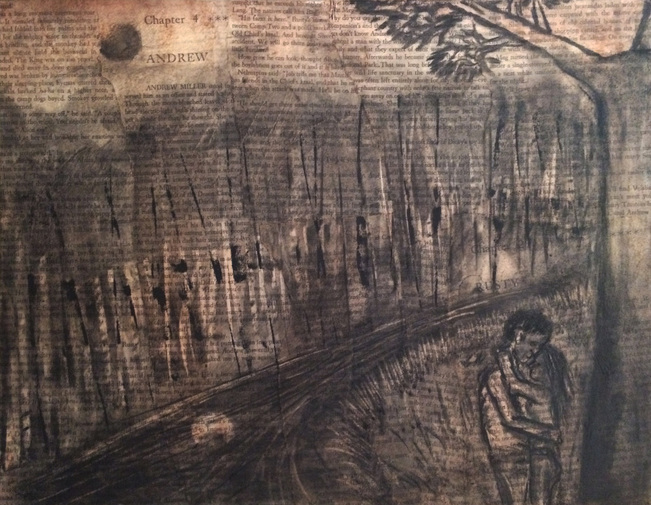 Charcoal on pages from the novel, "The Spoilers" by Rex Beach, 1906. 16x20"
The Moon by night. 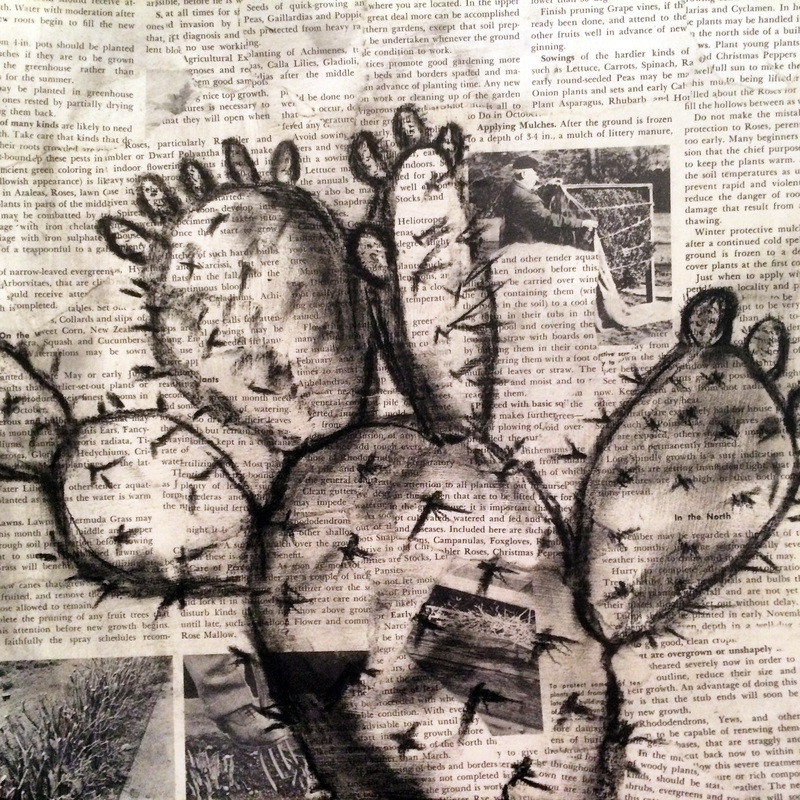 Charcoal on pages from "The Moon by Night" 14x11"
Prickly Pear Cactus. Charcoal on pages of the new illustrated encyclopedia of gardening 12x12"
Tomatoes. 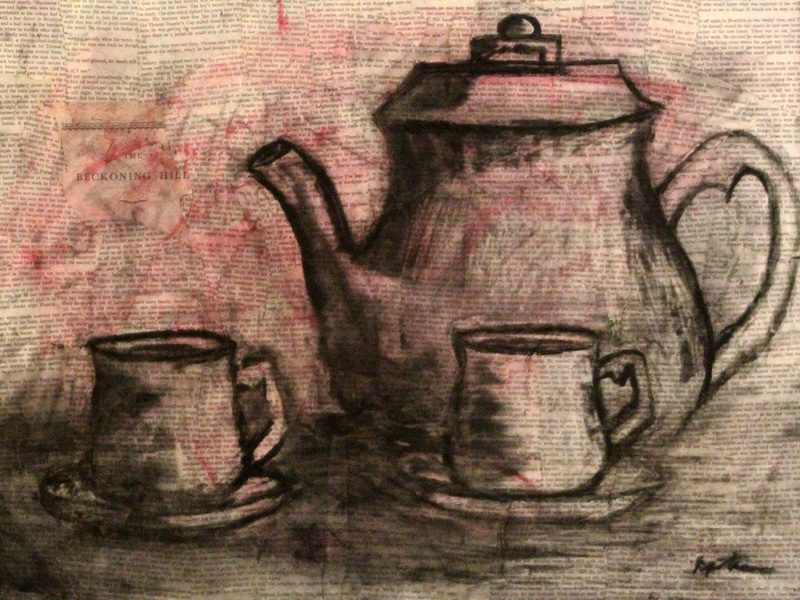 Charcoal on pages from a cook book. 24x36"
Airport. 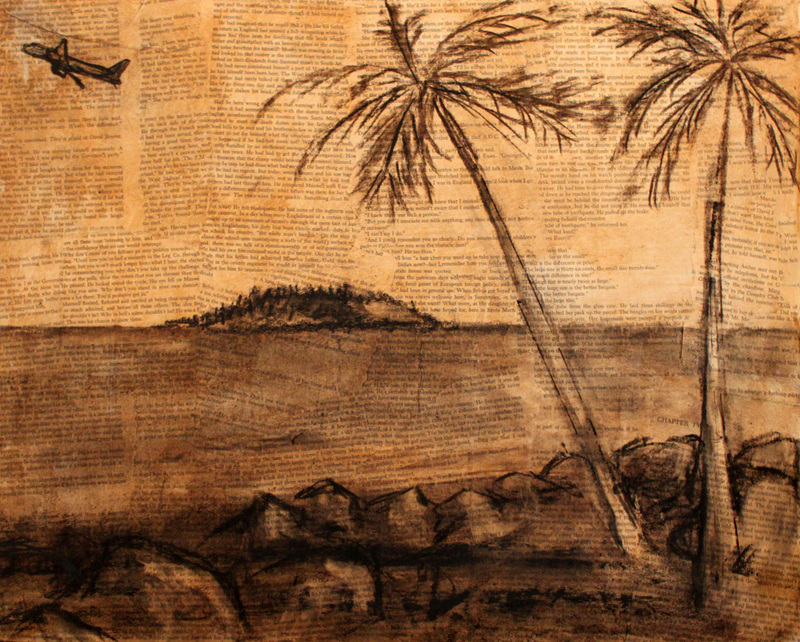 Charcoal on pages from the novel, "Airport" by Arthur Hailey. 16x20"
Sentry Box Murder. 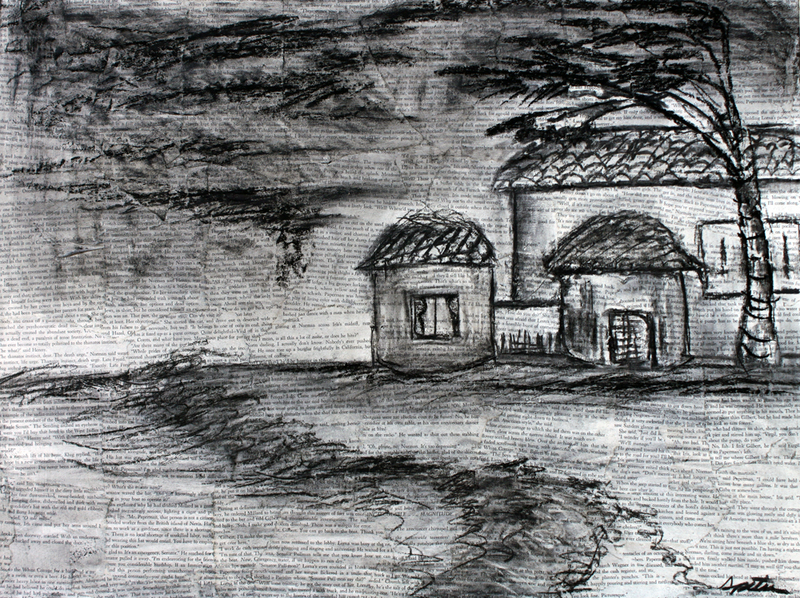 Charcoal on pages from the novel "Sentry Box Murder" by Newton Gayle. 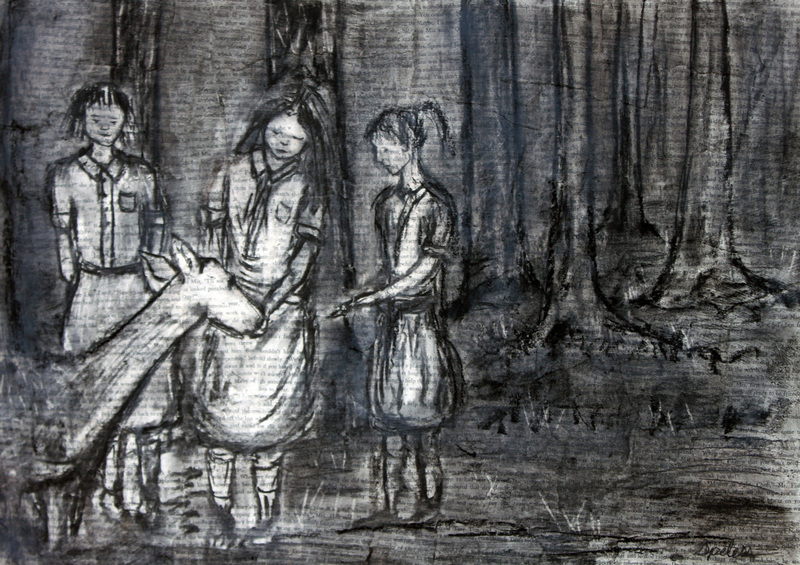 1935 14x11"
The Southerners. Charcoal on pages from the novel "The Southerners" by Edna Lee 12x24"
Ever After. 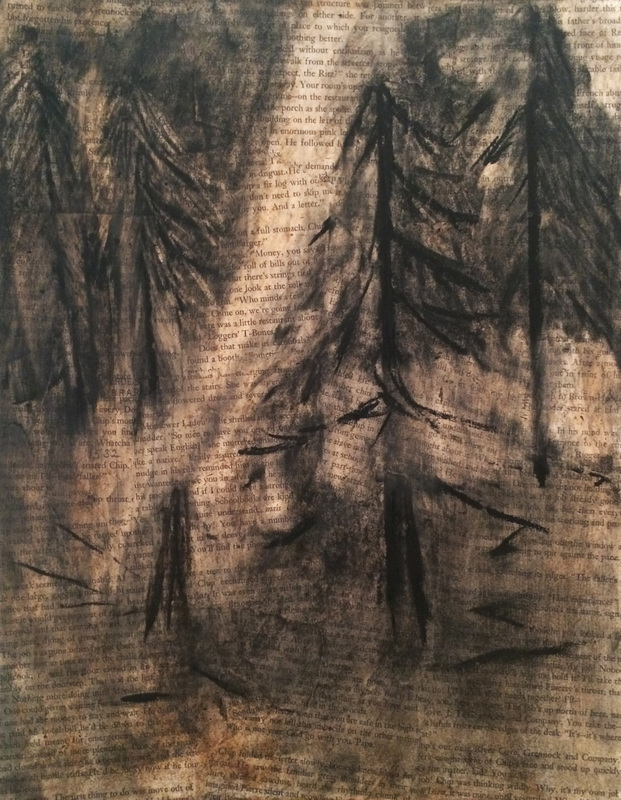 Charcoal on pages from "Ever After" by Elswyth Thane. 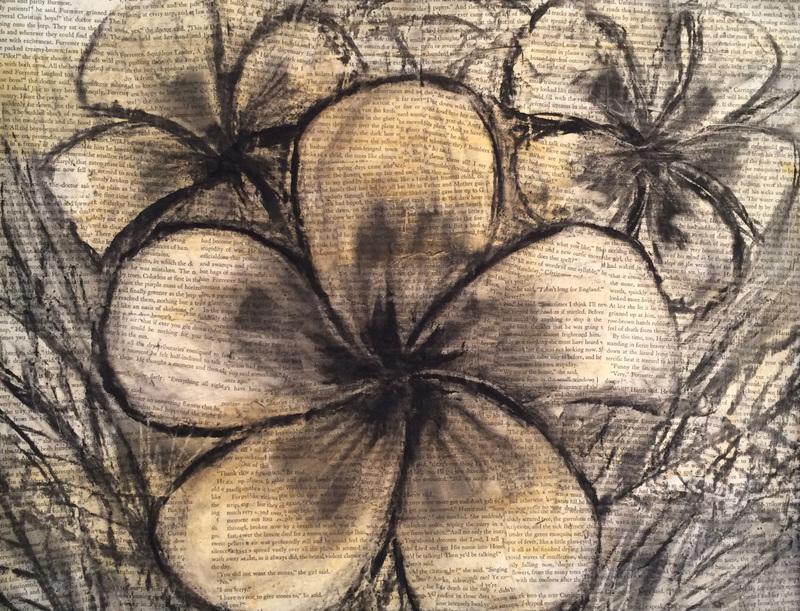 16x20"
Honestly, Katie John!. Charcoal on pages from "Honestly, Katie John!" by Mary Calhoun 16x20"
Don't stop the Carnival. 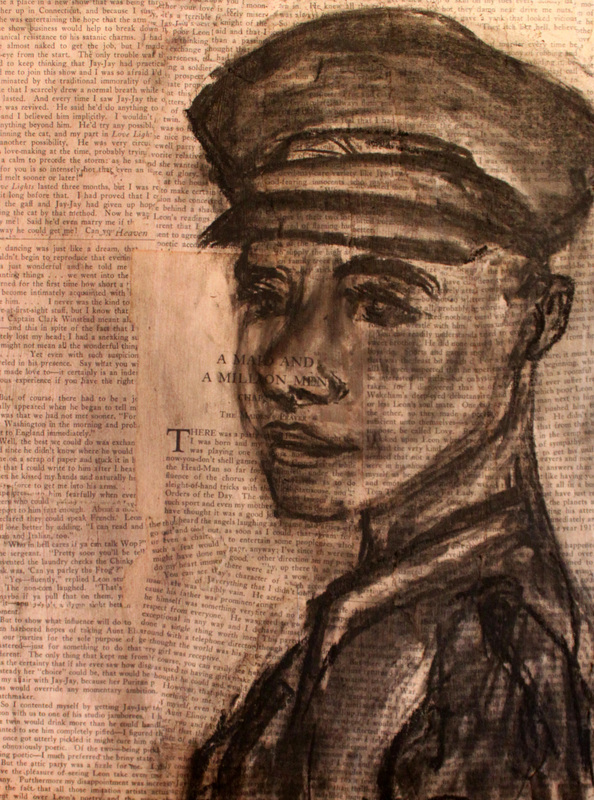 Charcoal on pages from "Don't stop the Carnival" by Herman Wouk. 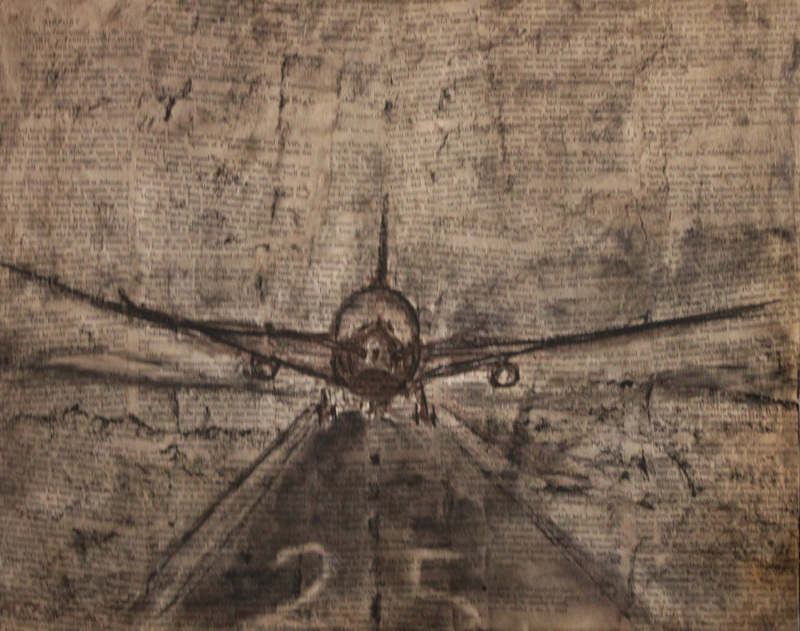 24x18"
Sal Fisher: Fly Up Year. 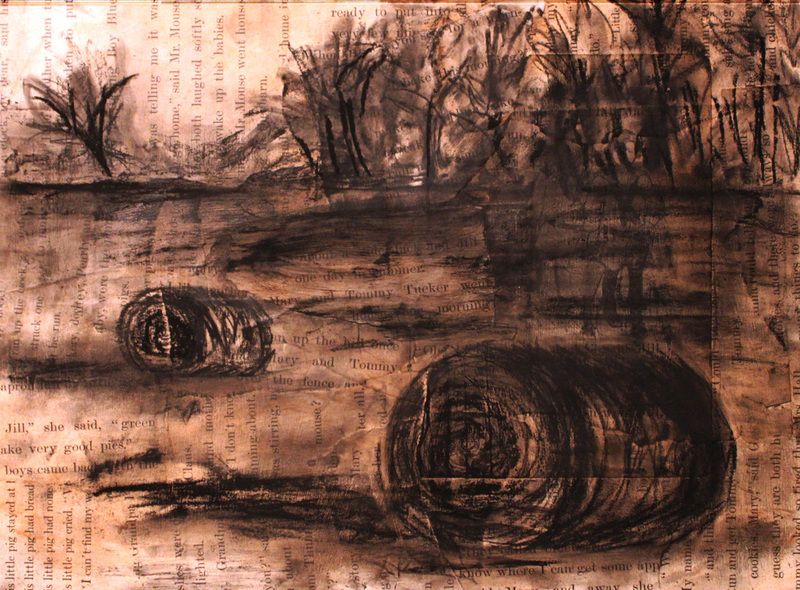 Charcoal on pages from "Sal Fisher: Fly Up Year" by Lillian S. Gardner. 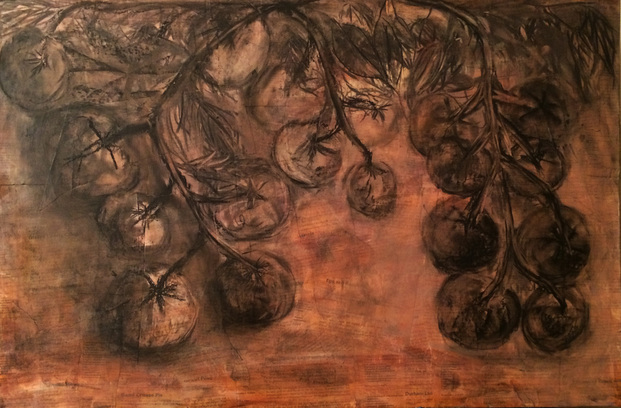 18x24"